Changes are being made to services operated by First in Torpoint provide better bus connections for staff and patients using the town’s new health centre which is due to open in the New Year. From Sunday 2 November, changes to Services 81 from Plymouth to Torpoint and Inswork will enable journeys to serve the health centre in Trevol Road. The Monday to Friday timetable is being revised with most journeys now terminating at HMS Raleigh. Buses from Torpoint Ferry will serve Great Park every 30 minutes alternating with direct buses which will miss out Great Park on their way to HMS Raleigh. These will run to the ferry on their return. The Saturday timetable will remain unchanged apart from some slight re-timings to early evening services. The Sunday services will be unaffected by the changes. At the same time a new £1 fare (50p for those age 5-18 or NUS card holders of any age) will be introduced for all single trips on the 81 between the Torpoint Ferry Terminal (Torpoint side) and HMS Raleigh. Commenting on the changes, Paul Smith, First Devon’s Operations Manager said: “Feedback about these changes have been very positive so far. This is good news for Torpoint as it will mean staff and patients going to and from the health centre will have peace of mind in knowing that there will be regular bus services to ensure they arrive on time for work and for their appointments. EAST NORFOLK: The Three Setras I found three Setras; two in Shearings Holidays' colours and one in National Holidays' white. FOCUS TRANSPORT: Go Ahead Interim Management Statement October 2014 “Delivering excellent levels of customer service is important to us and I’m proud our bus division achieved its highest ever satisfaction score of 92%. NORWICH BUSES: A day out with Norfolk Green - Part Two Something I love about the company is how each route appears to have regular drivers, this has lead to drivers being able to recognize passengers and when they travel. PUBLIC TRANSPORT EXPERIENCE: 2 : Bolster the Business Make up Your Mind, First Bus! 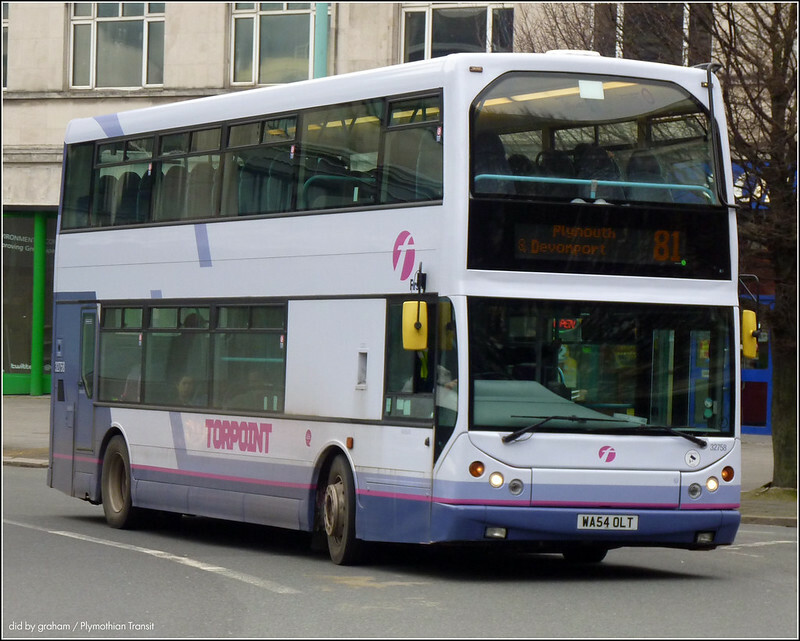 In a typical burst of incompetence, First Bus merely repeated the Cornwall text on its own web site but gave no information about the 588, despite referring to it "below". There was nothing "below"!! 3 : Bolster the Business An Agnesian Antipodean Aside ... and one Oz politician naively commented, "Transfield quoted the cheapest price and assured us they could deliver." Now where have we heard that before? Well Done First for being proactive here. Service set up for new medical centre before it opens, It really does seem like First have got a new air of confidence about them now and are no longer in 'closedown mode' The £1 flat Torpoint fare is a great idea too and should entice customers off the 32. Or could it be that first are trying to wring out as much revenue as they can, don't forget the majority of trips in torpoint citybus make are tendered so they make money even if empty, first need to make there commercial routes pay, just a thought.